Different types of foundations will benefit from their own forms of foundation repair serving San Antonio. Your contractor should be able to make the necessary repairs, but the actual process will vary depending on the type of foundation in question. 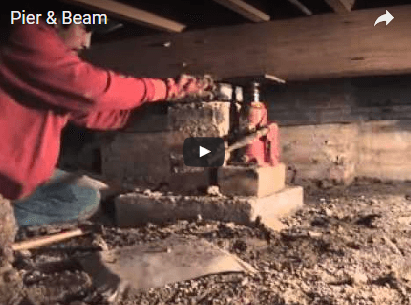 Take a look at this video clip for a quick overview of repairing a pier and beam foundation. Your pier and beam foundation keeps your home level and prevents walls, floors, doors, and windows from sustaining damage due to shifting soil. If your existing piers are still in decent shape, your contractor may use them to adjust the level of the home. While the foreman checks door openings and measures the level, jacks will be placed at certain lift points. If it turns out that the existing piers don’t provide the right amount of support, your contractor might dig a new footing and fill it with strong concrete.